Training is vitally important for seafarers – at all levels it affects the standards of safety, operations and effectiveness of crew. Training is both a pivotal and emotive issue for seafarers – it is also extremely complex. 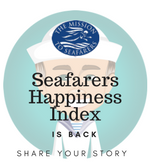 The Crewtoo Seafarers Happiness Index has given those working at sea a voice, and has highlighted the basics required for a satisfying and rewarding life at sea. From the 2015 results, seafarers stated they want training to reflect their needs, not just to meet legislation. It is an issue which seafarers have widely divergent views on. Different groups have different expectations, goals and drivers – and there is a clear generational divide and bias. 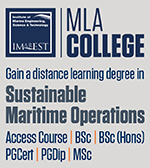 In essence, though, there are two schools of thought – many seafarers want to learn, more and more, and to excel. While sadly there are others who see it all as rather a chore. Training for some is tick box exercise, and isn’t seemingly seen as a positive. Which is a real concern. Seafarers seem to think that at the most basic level training is adequate, but there is also a sense that growing demands placed on seafarers with regards to mandatory training are having a detrimental effect. All too often seafarers are forced to attend training course after training course, but the focus is on attendance rather than actual learning. The message does not seem to be getting through of the positives or learning and education. For all those who are willing and able to see and seize positive opportunities for professional development and advancement, there are others who feel resentment. Resentment at the time it takes, and sometimes the cost imposed on their own account. For some seafarers, it seems they fall into the trap or gap between education and training. Training is about practice, about skill, about learning how to do things. While education is about more – it is about fostering the mind, encouraging independent thought and introducing knowledge of the wider issues. It’s about theory, understanding and a sense of values. In the maritime world, this is about the building blocks of a career – at certain levels it is clear that seafarers need to be trained. They have to attain skills, and learn how to do things the right way, the safe way. All too often though, given that the focus is often on mandatory courses, it is hard to see beyond certification and compliance, and it seems seafarers want their “learning path” to be better set out. They want to see beyond being trained and drilled to perform tasks, they want to engage with education – to be able to apply their skills and experience. There is, of course, some overlap. Practice may require some theory and education may require some skills, but we can often consider that training prepares for the known, and education the unknown. Seafarers appreciate the need to train, they accept that there are baseline common standards to achieve – but it seems they want more than that. They want to have their skills boosted and knowledge pumped up over and above the lowest common denominator levels. Also, seafaring is an incredible compressed profession. From the first day as a callow cadet at college the information, tests, exams, projects and practicals come thick and fast. Then once qualified it never really lets up – there is an almost incessant stream of hoops to leap through. Then once completed – like paining the Forth Road Bridge, the revalidation process means that they begin all over. The churn of knowledge is a tough one. So where can the time be found to reach for higher standards, or to move beyond the prosaic and practical, to the theoretical and higher levels of thinking. Time at sea is limited, leave time is already eaten into with existing demands. It seems there is very little, if any wriggle room. 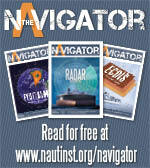 To ignore the wants and needs of seafarers when it comes to learning is potentially dangerous. As shipping changes, so too do the people who operate the vessels. It seems increasingly that we require more than just those who can blaze their way through a range of STCW courses. The industry is changing, and by 2020 there are predictions of unmanned vessels. But that doesn’t necessarily mean an end to “seafarers” – it simply means an evolution. Some will become troubleshooters, jetting off to problem vessels. Some will be ship riders, or controllers ashore. The time spent constantly on vessels may shorten, but there will still be a need for seamanship – for knowledge, skills and expertise. So training will remain important – but it is education that will lift seafarers from being functional cogs in the wheel, to being fully engaged, soft skilled, problem solvers. In wanting training to move beyond mere legislation, seafarers are clamouring not just for more and better learning opportunities. This is about positioning themselves to be the seafarers of tomorrow, are able to deliver on the needs of industry and for their own professional development. Industry, legislators, owners and trainers need to reflect this desire and to be able to respond to it. Do you want to be training over and above STCW demands? 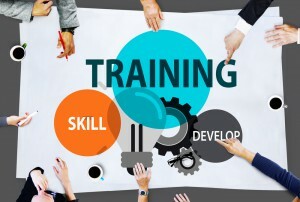 Do you think training is a burden that needs to be managed? Do you think that online and computer based training gives you better opportunities? Tell us what you think….